Baroness Williams of Crosby is better known to us all as Shirley Williams, one of the “Gang of Four” who dramatically left the Labour Party to form a new political party, the Social Democratic Party. Shirley Williams was born in 1930. She became the first woman General Secretary of the Fabian Society in 1960, and in 1964 was elected MP for Hitchin. She was a member of the Wilson and Callaghan Governments in the 1960s and 1970s, culminating as Secretary of State for Education and Science, and Paymaster General in the cabinet from 1976 to 1979. She lost her seat in the 1979 election. By 1980 the Labour Party in her view was veering into left-wing extremism, and in 1981 she co-founded the Social Democratic Party as one of the “Gang of Four”. She became the first MP elected for the SDP in a 1981 by-election in Crosby. From 1982 and 1988 Shirley Williams was elected President of the new party. Shirley Williams strongly supported the merger of the SDP with Liberal Party into what was to become the Liberal Democrats. Shirley Williams lost her seat in the 1983 General Election following boundary changes. She became Public Service Professor of Elective Politics at the John F Kennedy School of Government at Harvard University from 1988-1996. She has lectured at Cambridge, and in Princeton, Berkeley and Chicago in the US. 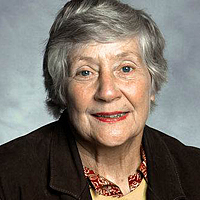 Shirley Williams was married to the late Professor Richard Neustadt, a leading expert on the US Presidency.